With all the building shows on TV, homebuyers are more particular about what they want their home to look like, be it a starter home, a home for a growing family or a one-story retirement home. 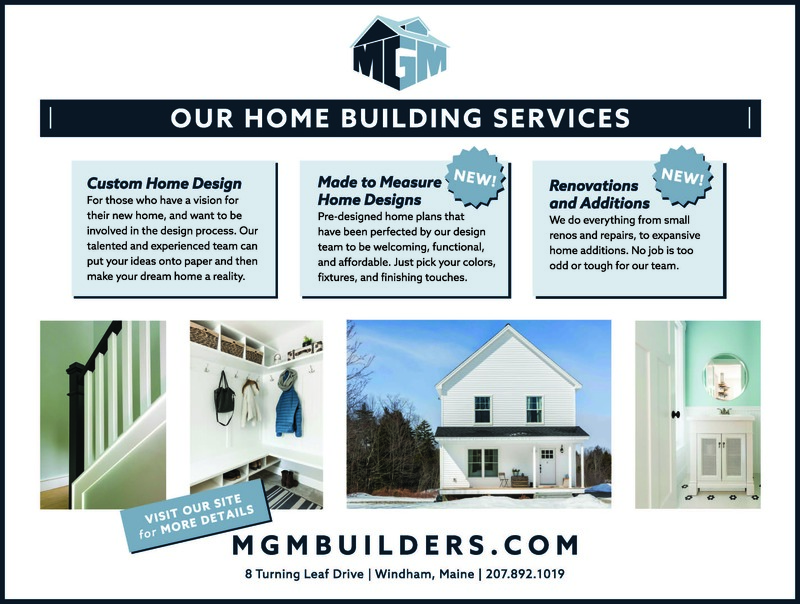 MGM Builders in Windham designs and builds custom homes and has since 1987. “We are celebrating the 30th anniversary of our first house in Raymond,” said general contractor and founder, Mike Manning. “We are family run.” Mike’s wife, Anne, and sons Taylor and Ben are all involved in the business. Taylor has a degree in building and is the project manager as well as a finish carpenter. Ben will end his job in the Navy in May and will join the company brushing off his degree in construction management. Tessa Manning, Mike’s daughter-in-law, runs the publicity and online arms of the business. 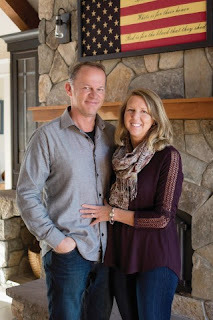 Co-founder Anne Manning is a home design specialist as well as a Realtor®. The majority of homes built by MGM Builders are in the greater Windham area, Gorham, Falmouth, Cumberland and Raymond. Close to 100 of the 200 houses built by MGM Builders over the years were built in Windham. They’ve built homes for repeat customers who outgrew their home or wanted to build a retirement home. They have also done major remodels of houses for clients. “What we enjoy the most is new construction,” said Mike. 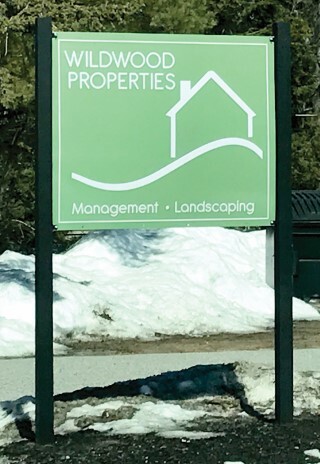 The company’s latest project is off Windham Center Road at Green Acres, where MGM Builders is developing land. They bought the land from the late Earl Green. His children wanted to keep the land in his father’s name and Green Acres was born. Over the 30 years Manning has been building homes, the technology and the equipment have changed making turnaround times faster, with the convenience of being able to call a subcontractor at a moment’s notice. “To build houses and do it with little problems, you have to have a passion,” said Mike. “I’ve always had a passion.” The first house he built came from a drawing he did at 16 years old. He worked as an electrician in the Coast Guard before he was able to build that house at 24. MGM Builders works with real estate professionals all over the area looking for building packages. “We make it pretty painless to the customers. They show up at closings,” said Mike. MGM Builders purchases the land and builds the home before turning the entire project over to the new owners. They have built some commercial projects like the North Windham Veterinary Hospital, which was very challenging, but fun to build, Mike said. Mike has preached to his sons that “your name is valuable.” MGM Builders stands for quality and integrity. “Our company is about what our customer is asking for and giving it to them,” he said. His philosophy is “perfection within reason; not production no matter what.” He tells his eight employees to do it the right way the first time or they’ll have to redo it the way he wanted it in the first place. MGM Builders has built eight houses for the Mannings over the last 30 years. They’ve raised three children in those homes and are proud of what they have built with their company. “We have a really close family,” Mike said, mentioning that his oldest child Whitney raises two little kids, but doesn’t work for the company, yet. The company keeps up with what popular trends are, like sliding barn doors. “We are in tune with what the Millennials want,” said Mike. Customers are looking for open floor plans, mudrooms with built-ins, three bedrooms, and two and a half baths with one being a master bath. They are looking for amenities in the homes, according to Mike. MGM Builders is always looking to buy new land to develop. Landowners can contact Mike directly at: 650-2050. Find MGM Builders on www.Houzz.com, Instagram and Facebook, or visit www.MGMBuilders.com, call 892-1019 or email Mike@MGMBuilders.com. They are located at 8 Turning Leaf Drive next to Buck’s Naked BBQ. With the warmer weather and lawns turning green, Evan Blakeney and his father Tom are gearing up for a busy spring season at Xtreme Performance Power Equipment and Motorsports. Xtreme Performance has everything a professional landscaper and a homeowner could want to spruce up his or her yard. Evan opened Xtreme Performance because, “it’s in our blood.” His grandfather opened two lawn and garden and power sports locations as Evan was growing up. “I was selling snow blowers when I was six or seven years old in Maryland,” he said. Tom and Evan were traveling a lot for work in the construction industry and decided they wanted to be home more, so they opened the store on Route 302 in Windham. “I always liked this area,” Tom said. “We interviewed landscapers and determined it was an under-served area.” The company caters to the commercial side of the industry although they also serve residential customers as well. They know that professional landscapers have different priorities than residential customers, especially when it comes to service after the sale. Xtreme Performance sells Ferris Commercial Mowers, eXmark, Simplicity residential lawn and garden machines that are top of the line, Snapper walk behind mowers that are using the same deck design they were forty years ago and Shindaiwa handheld products. In the zero-turn mowers, eXmark has been the fastest growing product in the store. Ferris is the fastest growing commercial line, Tom said. Zero-turn mowers are hot in the market, but they are not right for everyone. Evan and Tom can help determine the right kind of mower for the job, whether it’s a soccer field or a home on a hill. They want to be the ones customers turn to for information. Products can be demoed before buying to make sure it’s the right machine for the job. The Shindaiwa line is a commercial line of handheld tools like leaf blowers and hedge trimmers that come with a five year warranty. “You know you’re getting at least five years out of that equipment,” said Tom. Price differences between Xtreme Performance and a box stores are comparable. Box stores may seem cheaper at the outset, but when quality is figured in, the machines at Xtreme Performance are priced the same or less. When it comes to parts, they also have better prices on things like chainsaw blades or full synthetic oil for chainsaws. Customers have the choice of three types of tractors at Xtreme Performance. Lawn tractors, which are great for moving, hauling a dump cart or snow blowing. The garden tractors can take all of the other uses, as well as a rototiller. It’s also heavier and can take more attachments. A subcompact tractor is a mini farm tractor with a three point hitch and can take a backhoe. Xtreme Performance also has a full service department for every brand, even those they don’t sell, including snowmobiles, ATVs and dirt bikes. The technicians strive for a quick turn around, but admit that May is challenging because everyone wants to start mowing. They have free pick- up and delivery within a 10 mile radius of the store. For business customers they have a loner program and lockers for after-hours pick up. “If there’s a way we can help you out, we will. We don’t want to nickel and dime you,” said Evan. The biggest issue they see in the service department is not treating engines for ethanol in the gas, which accounts for 80 percent of repairs on power equipment, said Evan. Xtreme Performance is the only authorized service center for Briggs & Stratton engines. 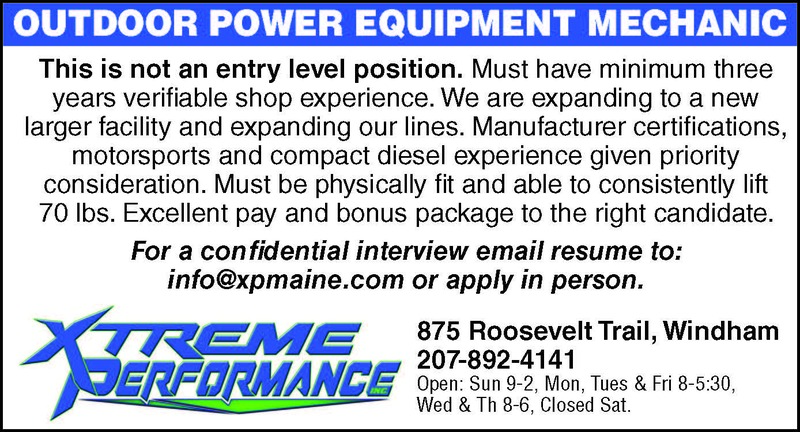 For more information, call: 207-892-4141, visit: www.XPMaine.com, email: info@XPMaine.com or visit them on Facebook. The best way to see the store is to visit when they’re open Monday, Tuesday and Friday from 8 a.m. to 5:30 p.m. and Wednesdays and Thursdays from 8 a.m. to 7 p.m. They are closed on Saturdays, but are open from 9 a.m. to 2 p.m. on Sundays. Don’t miss the open house on April 30 from 9 a.m. to 6 p.m. for instant rebates, giveaways and a BBQ with activities for kids. No purchase required. Fresh ingredients, historic atmosphere and friendly staff are the major ingredients at O. Dans Public House located at 1 Ossipee Trail East in Standish. The large three-story building has been remodeled and is open for business. Owners Dan Ellingwood, Jim Yates and Steve Burgess bought the building as a second location for O. Dans; the first is located in Sebago on the back side of Sebago Lake. With friends and family helping as well as Yates’ construction company, it took five months for the remodel. “We’re a little crazy. We thought two months,” said Ellingwood. They redid the kitchen, the bar on the second floor, which was made by Yates, and brought the floors back to life. The work brought to life the historic charm of the building. “This gave us the opportunity to be a part of a nice, small community,” said Ellingwood. The food is described as southern style with a French twist. Culinary trained, Ellingwood, the head chef, worked in southern kitchens for years as well as interned in kitchens in France, after growing up in New Hampshire. At O. Dans he goes back to his training to provide food that is unparalleled in the area. One of the unique starters is the egg rolls, created with Pineland Farms grass fed prime rib, gorgonzola cheese and fresh horseradish mayo. Ellingwood offers chicken and waffles and fried chicken with mashed potatoes like a southern grandma would make. “We shop every day. What we see at the market we use,” Ellingwood said. “We have to be better than what you can do at home.” For those looking for the special of the day, come in early, Yates suggests, or the items might be gone. Everything from wings to corned beef, risotto to blackened haddock is made at the restaurant. His self-proclaimed best dish is the risotto, which he made every day for two years while in France. As a vegetarian entrée, it is served with crispy sprouts and shaved parmesan cheese. O. Dans has no microwaves, no freezers, and everything is made from scratch, except the ketchup. Ellingwood and Yates are childhood friends. “We’ve been running together since we were in diapers,” Ellingwood said. The first location they opened together has 35 seats and is described as homey. The new location is neighborhood friendly and has 120 seats. “We’re working on becoming a destination,” Ellingwood said. O. Dans has been open for six weeks and the reception has been outstanding, Ellingwood said. “It was overwhelming at first. Even with a two hour wait, they keep coming back,” Yates said. “Getting them to come once is easy. Getting them to come back is hard.” People do return. At the bar, there are 10 revolving taps and on the specials board they have listed what’s coming up next for beer. “They try to finish a tap to get to the next kind,” said Yates. “We’re not a night club. Grandma and their granddaughters can come in together,” Yates said. “The highest compliment is when folks bring their kids in because they’re comfortable enough to bring their kids here. That’s humbling,” Ellingwood added. O. Dans serves dinner nightly after 4 p.m. and lunch on Saturdays and Sundays. After Easter weekend, starting April 23, O. Dans will be open for Sunday brunch starting at 10 a.m. with a build-your-own bloody Mary and mimosa bar. There is live music on Friday and Saturday nights. Open mic music is the second and fourth Tuesday of every month. Reservations are encouraged. They are always hiring new staff to add to the 25 they have now. For more information or to make a reservation, call: 648-4239 or visit them online on Facebook. Most dealers—and some banks—offer some type of gap insurance as part of the vehicle loan, but rates and coverage can vary considerably. Be sure to figure out the total cost and read the fine print, as it can add a significant amount to your monthly payment. It’s always a good idea to save some cash for a “rainy day.” An Edward Jones financial advisor can help make sure your savings support your overall financial strategy. After all, you’ve worked hard to keep your financial strategy on track, right? An unexpected expense could easily derail that strategy. If you're still working - between three and six months' worth of living expenses. If you are retired - up to three months of living expenses for emergencies, as well as about 12 months' worth of living expenses (after accounting for outside sources of income) to provide for your everyday spending. Why the ranges? If you're employed, these guidelines factor in the average length of unemployment – four months – as well as the potential for other needs. If you’re retired, you face many of the same potential emergencies (excluding a job loss) – except you are now also responsible for creating your own "paycheck" for your everyday expenses. Regardless of whether you're working or not, you may also want to look into your access to a personal line of credit. It can help you supplement your emergency savings if the need arises. How much should I have in cash for other USES? While you might think “the more, the better,” that isn’t necessarily the case. Having too much of your savings sitting in cash can be an issue, especially when you’re investing for long-term goals such as retirement. Ultimately, your cash strategy can be a key factor in your long-term financial success. Unexpected expenses and emergencies – cash used for situations such as a job loss, a home repair or an unplanned medical expense. Specific short-term savings goals – cash dedicated for a goal that will occur within the next year or so, such as a wedding or vacation. Everyday spending – cash used for your lifestyle and day-to-day spending needs, such as groceries, utilities, mortgage and debt payments, and entertainment.